Heat oil in a pan,saute mustard seeds,fenugreek seeds,curry leaves,coriander leaves,chopped onions,then chopped tomatoes and saute for 2 mins. Add raw mango pieces(half),ground coconut masala and salt with needed water and allow it to simmer till oil separates on top . Add fish pieces,crushed jaggery and the remaining raw-mango pieces ,cook till done(for 8-10 mins). Add 2 tsp coconut oil on top. 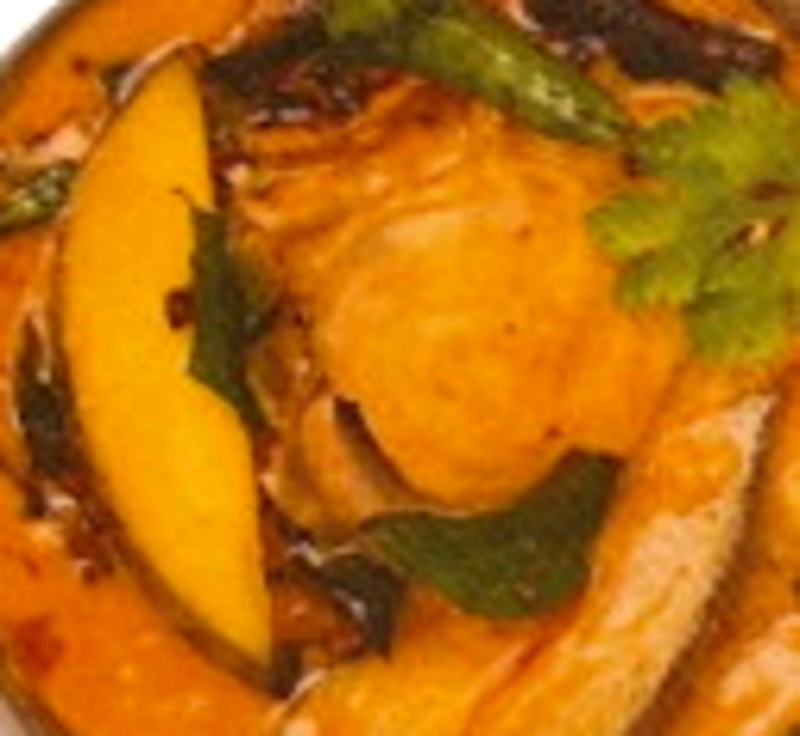 Serve this raw-mango Fish masala hot with rice.